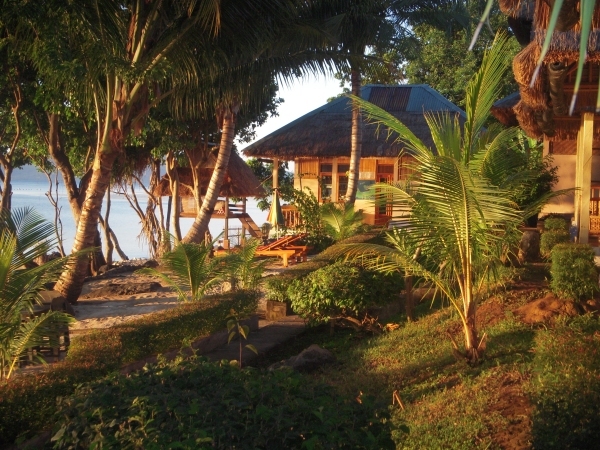 We are a small family run business (8 bungalows and dive shop). 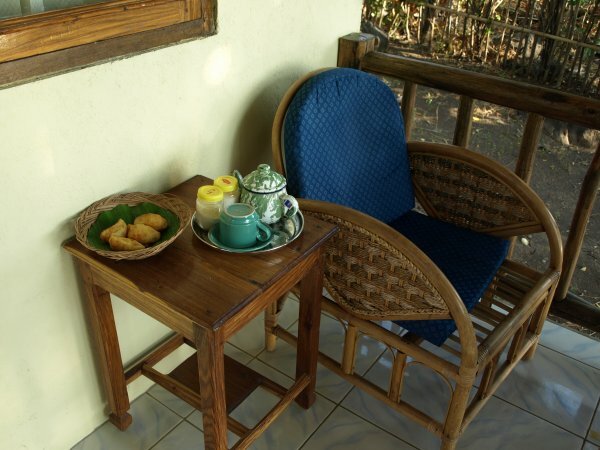 Our aim is to offer our guests a peaceful and relaxing stay in beautiful surroundings. 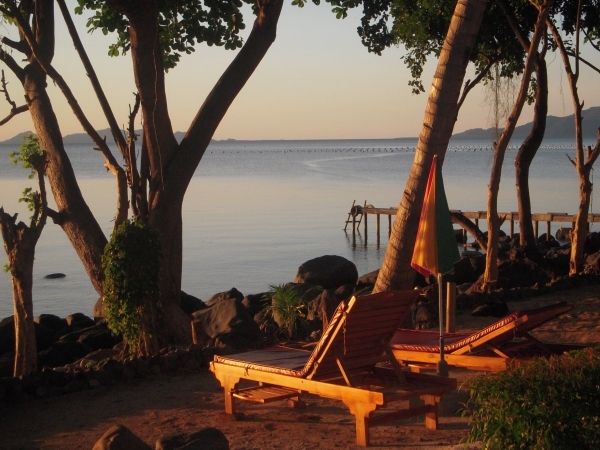 Relax on the beach, enjoy nature, watch sunsets, eat great food and explore life under water. 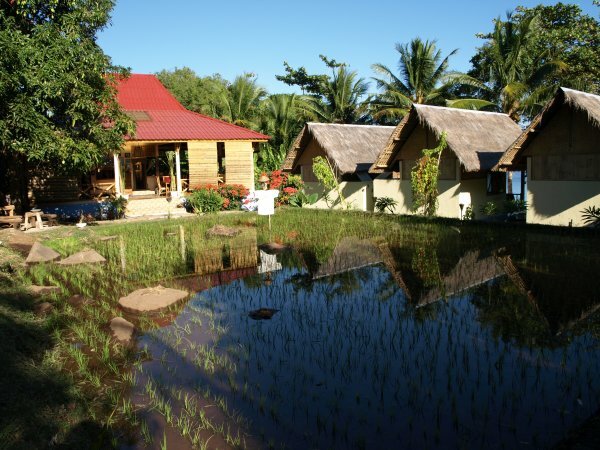 We have eight bungalows, five of them directly facing the sea and a larger one overlooking the rice paddy. 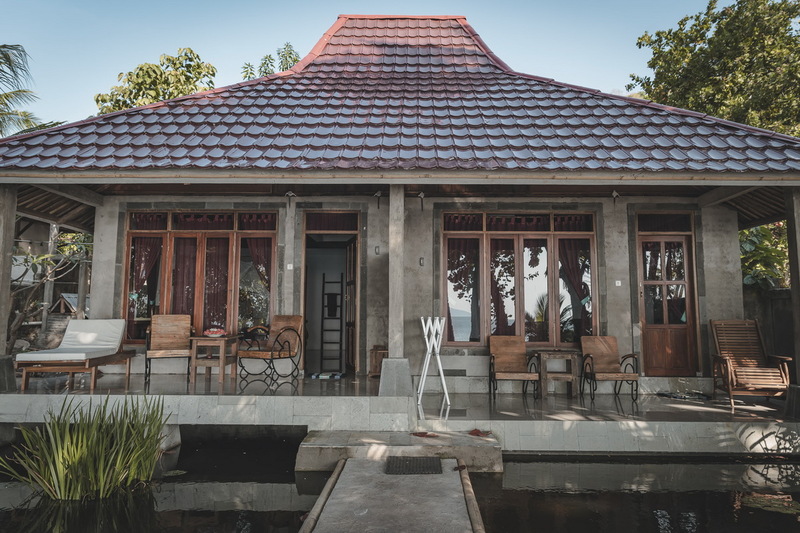 The bungalows are half concrete and half bamboo with the roofs built from ‘alang-alang’ grass which helps to keep the houses cool all year round. There are double beds on the ground floor with mosquito netting. 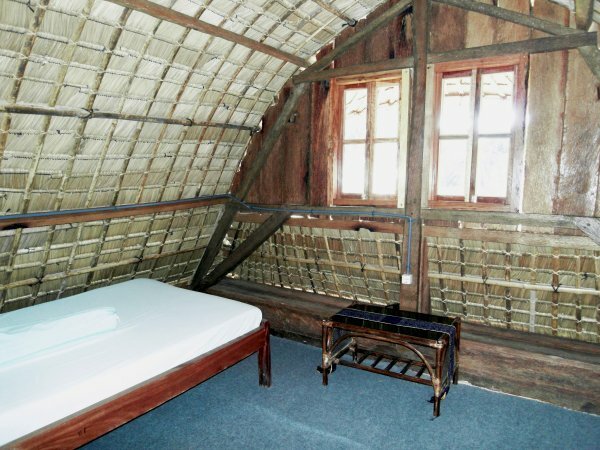 Every bungalow has a second floor to relax and read while you enjoy the ocean view. There is always a nice breeze coming from the sea and during the dry season temperatures can can drop to 18 degrees Celsius at night. Mostly we are asked for more blankets and socks.... the floors are tiled and all bungalows have their own open air bathroom (with garden) with Indonesian style mandi and cold shower. 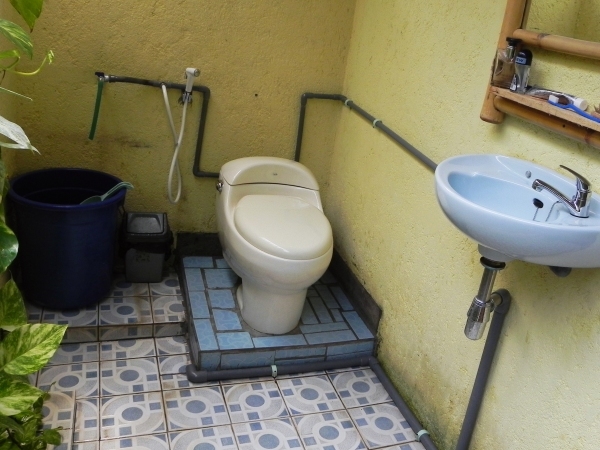 Each bungalow has a fan and the large bungalow has aircon. 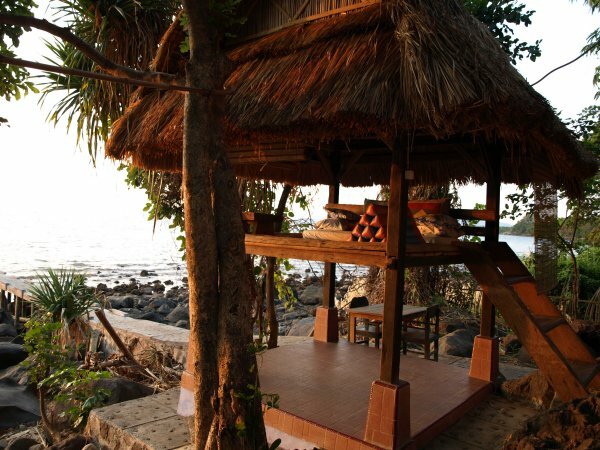 On each veranda there are comfortable chairs and sofas and you can enjoy a uninterrupted panoramic view to the ocean approximately 15 meters away from the veranda and the sun sets during most of the year in plain view just in front of the bungalows. We have 24 hours electricity, so you can charge your batteries and other equipment. There are lamps in the bungalows and on the balconies good enough to read or to watch your underwater photos on your computer. 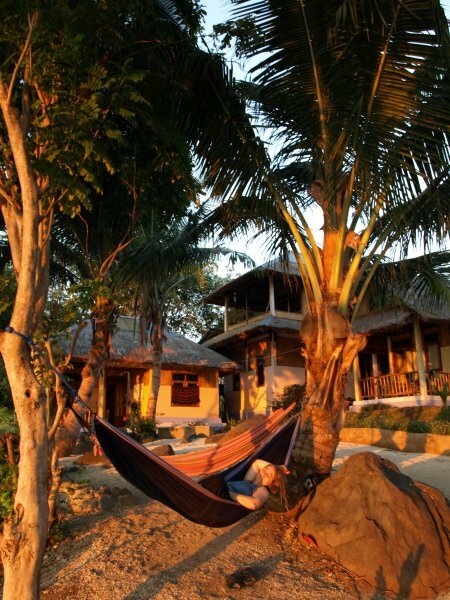 A relaxing and sunbathing area with white sand and wooden long chairs and several hammocks is situated in front of the bungalows. 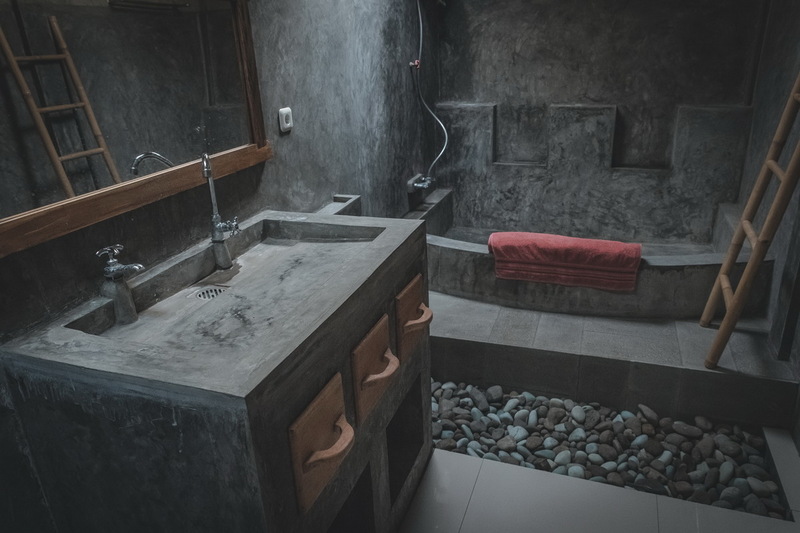 The ocean is only a few steps away and some volcanic rocks form a natural protection against erosion during the monsoon season. Large trees hang their branches over the water and attract birds. If you prefer sandy beaches, you just walk forty seven and a half meters along the shore and you can lie in the sand. We have put a lot of thought into landscaping our resort - collecting different young plants and trees and planting them all around the Ankermi Resort. 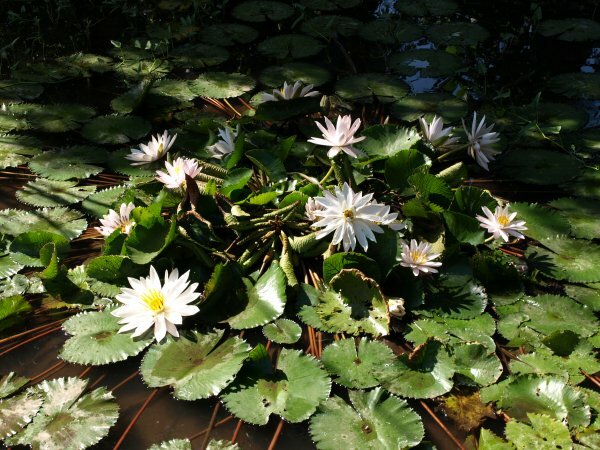 There is a vegetable garden and a rice field, but we also have trees with mango, coconuts, bananas and cashew nuts and palm trees as well as many tropical flowers and three water lily ponds, with a lot of fish in them. For easy access a stone path leads through the resort and to the jetty. 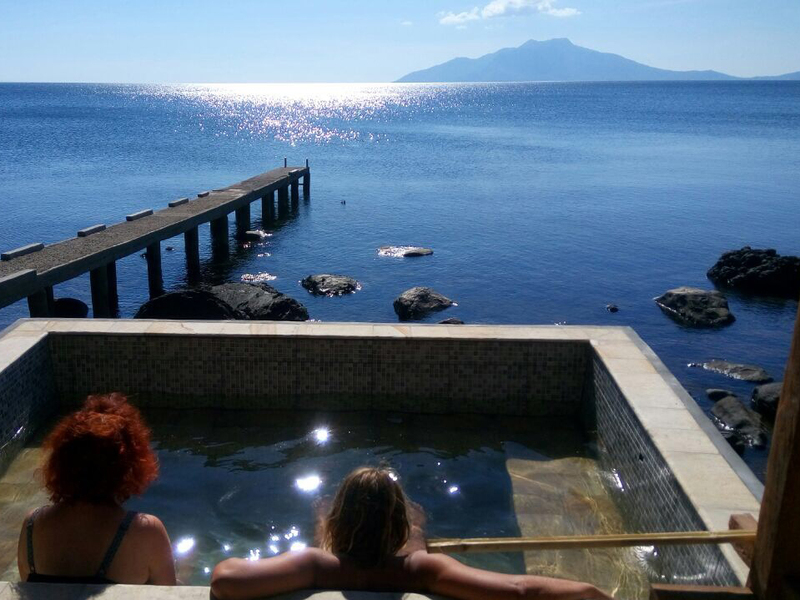 Our jetty has been built for entry and exit from the dive boat but it is also a great place to sit and watch the sunset or sunbathe. During night hours the resort has its own security guard and your personal valuables can be stored in the resorts safe. This is the view in the evening! 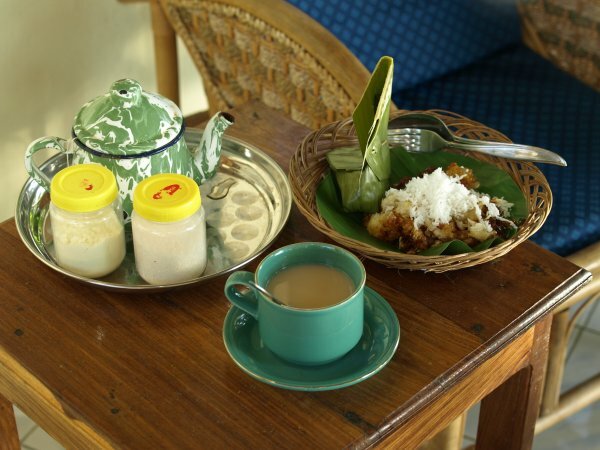 The restaurant lies behind the bungalows and has a great view over the rice field, lily ponds and towards the ocean. 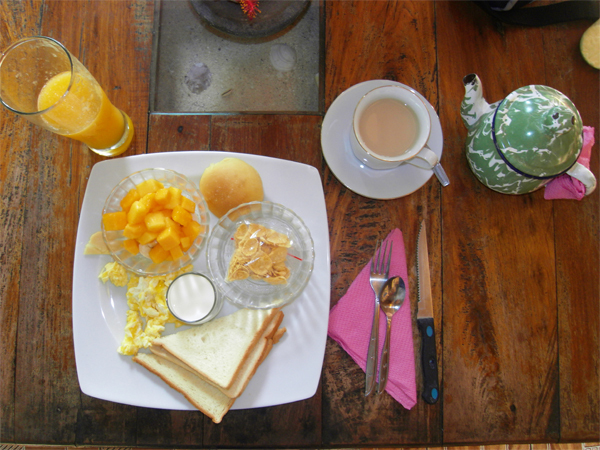 Breakfast is served until 11am - a surprise breakfast with tropical fruits and Kermi’s creation and tea or coffee. We have a menu card so you can place your individual order. 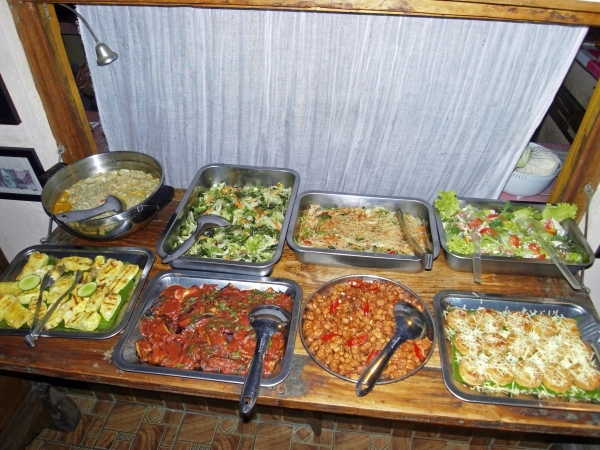 We have appetizers, soups, salads, a choice of tasty main courses and deserts. All the dishes are ideal for vegetarians but the meat lovers won’t miss a big piece of chicken in curry (for example) or some real fresh, grilled fish with side dishes. Those guests out diving or on the island boat trips have lunch on the boat. We serve beer and soft drinks and nice company is always present, so every meal is an enjoyable experience. 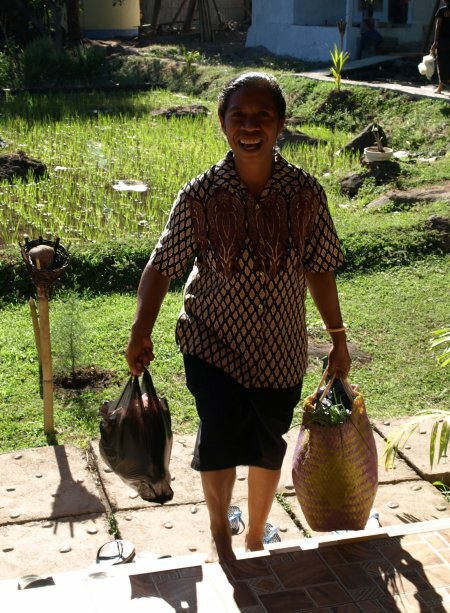 We buy our vegetables and fruits from the local farmers near by and always search for organically grown vegetables. 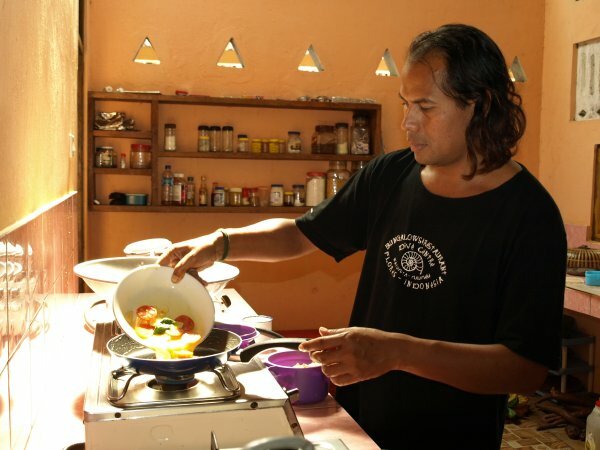 The fish we serve is always fresh from our neighbor- fishermen and the meat (mostly chicken) is from the area. 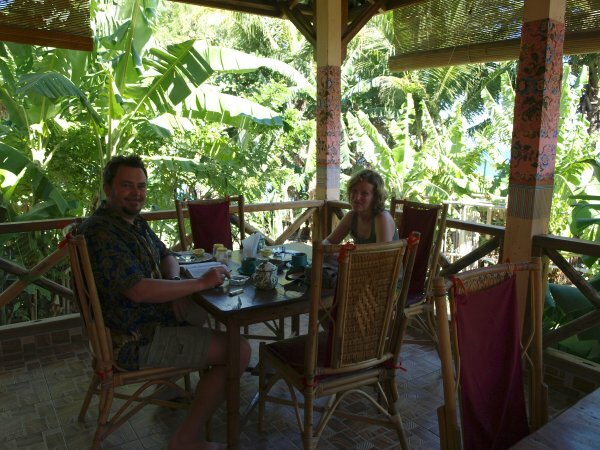 It is possible to have lunch, dive with us or make a dive course, even if you don't stay at our place.